Fibroids and Menopause | Will Fibroids Shrink After Menopause? Home » Will Fibroids Shrink After Menopause? Fibroids are noncancerous tumors in the uterus that can cause abnormal bleeding. The hormones estrogen and progesterone stimulate their growth and when fibroids are large enough, they can cause discomfort and pain. Common sense says that when you stop having periods, chronic conditions of your female reproductive organs will also go away. But that isn’t necessarily true. For many years, doctors would tell their patients the fibroids would shrink after going through menopause. Women who are close to menopause are often advised to “hang in there” and wait out their treatment options. But few patients with fibroids made it to menopause because they ended up undergoing a hysterectomy (removal of the uterus) instead. You might think that fibroids will shrink or disappear once you’ve gone through menopause because your hormone levels drop dramatically, however that’s not always the case. If a woman chooses hormone replacement therapy (HRT) after menopause, she could still experience bleeding symptoms and even fibroid growth after menopause. Menopause is a time of wildly fluctuating hormone levels. Estrogen levels generally decline during perimenopause, but they do so in an irregular fashion. 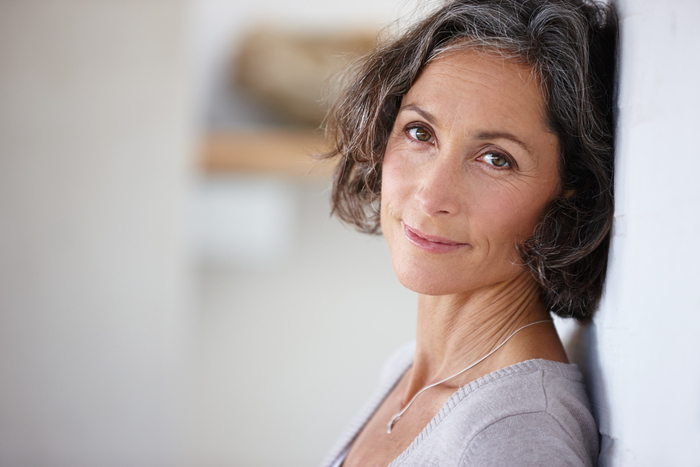 Sometimes there can be more estrogen present during perimenopause than in the past. Fibroids are estrogen sensitive as it has been proven that estrogen increases the growth of fibroids. Although menopause is a time when hormones are decreasing, estrogen levels in a woman’s body surge during this time. Certain substances in fat cells will mimic the effects of estrogen which result in fibroid growth. The time from perimenopause to menopause varies for each woman and it could take years to see any reduction of fibroid size or symptoms. Fortunately, there are a variety of treatment options. Many women end up choosing hormone replacement therapy to alleviate menopause issues such as hot flashes and sleeplessness. However, whether bioidentical, over-the counter or prescription hormone pills, introducing estrogen may stimulate fibroid growth. Very large or multiple fibroids may not shrink enough to alleviate certain fibroid symptoms, such as a distended abdomen, pelvic pressure similar to period cramps, and urgency to urinate when fibroids press on the bladder. The best time to treat fibroids that are causing symptoms is right now. If you’re in your late 40’s, you are in what amounts to an “estrogen bath.” Right before menopause when estrogen is removed from the body as the ovaries stop functioning, women will experience several months to years of estrogen dominated menstrual cycles. 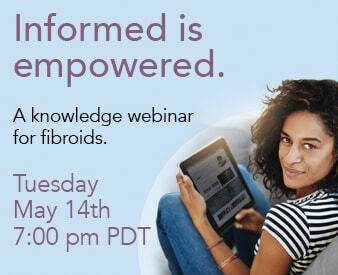 This period in a woman’s life is almost always a growth spurt for fibroids. Waiting for fibroids to shrink during menopause is likely to result in a few more years of growth and worsening symptoms of pain and bleeding. The Fibroid Treatment Collective has pioneered a safe treatment for fibroids that is both minimally invasive and effective. Fibroid embolization involves inserting a catheter and running it to the uterine artery, where embolic agents are released that significantly shrink the fibroids present. Embolization protects fertility by not cutting, removing, or scarring any uterine tissue. For questions and concerns about fibroids and menopause or fibroid embolization, contact The Fibroid Treatment to schedule a consultation.